We were called in by the customer as they were having issues with their existing boiler not providing much heat throughout their home. Although the boiler was working it was very inefficient. 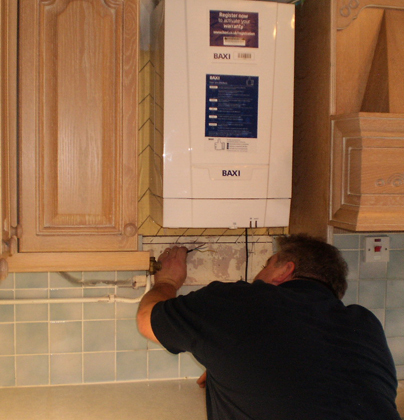 Due to the age of their existing boiler, although parts were still available, they decided it would be a good time to upgrade to an A rated energy efficient boiler. With this boiler upgrade we also had to bring the existing hot water system in line with current regulations which also benefitted the customer from an energy saving point of view. As the flue terminal exit point from the property was adjacent to a neighbour’s kitchen window we opted to fit a plume management kit so not to cause nuisance to the neighbours. Due to the age of the existing system we powerflushed to remove sludge/magnetite build up, thus giving a more efficient system.